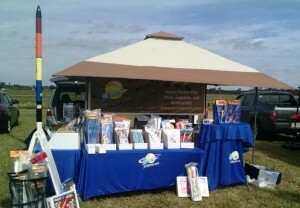 JonRocket.com will be at NEFAR’s Bunnell Blast the weekend of November 11 and 12 near Daytona Beach, Florida. Then we will be at the GRITS Launch near Tifton, Georgia, November 25 and 26. Bunnell Blast is a two-day TRA Research launch. Two sets of launch pads, low-power and high-power, will be in operation on Saturday from about 10:00 am to sundown and on Sunday from about 10:00 am to 3:00 pm. Georgia Rockets in the Sky (GRITS) is a two-day launch that has moved to Thanksgiving weekend this year. Taking place in rural Georgia, GRITS offers a large launch site allow very high-altitude flights of high-power rockets. But, the launch is also model rocket friendly. Both of these launches are expected to attract flyers from all over the Southeast. This entry was posted in Regional Launches and tagged grits, launches, onsite by Roger. Bookmark the permalink.